With Liverpool only recently pegged back in the Premier League title race in England, Juventus walking to another Scudetto in Italy and Paris Saint-Germain doing similar in France, the action in Spain has been atypical this season – and La Liga has been much the better for it. Barcelona sit proudly at the top of the pack at present and if they can remain relatively injury free over the second half of the 2018/19 campaign, and perhaps add Adrien Rabiot six months earlier than planned, there’s every chance that a second successive domestic title will come their way. The Blaugrana don’t have any room for error mind. Diego Simeone’s Atletico Madrid are breathing down their necks and looking good value for a title tilt themselves (12/1 with Paddy Power). Though they’re not quite as swashbuckling as Ernesto Valverde’s squad, the Rojiblancos have been grinding out the odd-goal wins and draws against the big teams with their usual regularity. Having the meanest defence in the division is a great platform from which to build, but if Lucas Hernandez does move to Bayern Munich in January – and the transfer betting markets being suspended on this move suggests he is – that could be a blow from which Atleti may not recover. Simeone also has a number of other behind-the-scenes issues to contend with too. For example, Diego Costa’s insistence on being paid the same as Antoine Griezmann appears to have taken the edge off of the Spanish-Brazilian’s striking instincts. Real Madrid under Santiago Solari are largely an unknown quantity at this point. Another Club World Cup win officially makes them ‘world champions,’ but their performances against Eibar and CSKA Moscow (both 3-0 defeats), and also against Real Sociedad (a 2-0 defeat) would suggest anything but. Solari has been hit by a glut of injuries and he too needs to nip certain situations (Isco) in the bud, but it would take a brave man to bet against the 1/200 on Los Blancos making the top four. That leaves one place in the top four up for grabs. It’s an open secret that some Barcelona players enjoy Quique Setien’s way of playing. The Real Betis boss, in 2018, became one of a select few to beat both Barcelona at the Camp Nou and Real Madrid at the Santiago Bernabeu. Not only that, but he did it in such a way as to be utterly enthralling. 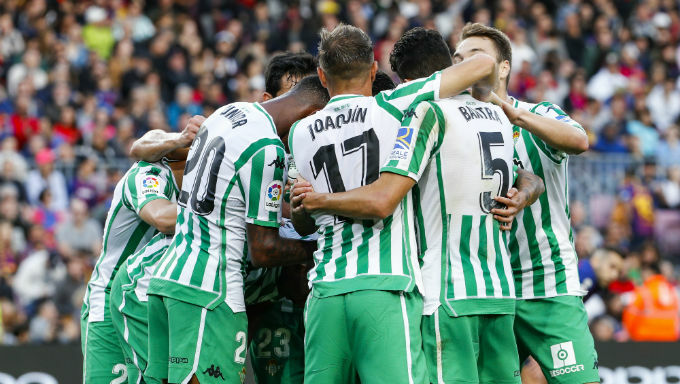 Anyone who saw Betis’ 4-3 win in Catalonia couldn’t have failed to have been impressed. Sergio Busquets signed a shirt to Setien that praised the way the coach sees football. More than a nod of appreciation there. With Ernesto Valverde still not committing to Barcelona for an extra year, there’s every possibility that Setien could have inadvertently auditioned for a position that may yet become available. That he would have the backing of the senior players at Barca would almost certainly ensure a seamless transition. He’s also the firm favourite to be Barcelona’s next boss at 11/10 with Paddy Power and a loss against bottom placed Huesca last time out doesn’t change a thing. Betis have the Copa del Rey to look forward to, with a reasonably tough two-legged affair against Real Sociedad in the immediate future. 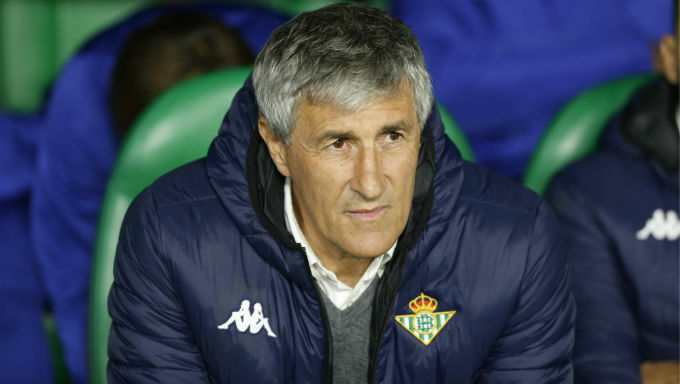 How far the verdiblancos go in that competition will depend entirely on Setien’s priorities, but you can get 40/1 on them to win it with the best football bookmakers. They’ve lost just twice in the last 12 games, which included five successive clean sheets, and are one of the form teams in the division. If Betis can forego the cup, by utilising youth or fringe players to allow the starters to concentrate on La Liga, then there’s every chance that a busy January can be negotiated successfully. The Europa League returns in February, by which time new recruits will have been hired as needed. Enough for a Strong Finish? Betis are much better placed for a higher than sixth finish, which they managed in 2017/18. By this point of the last campaign, they’d already lost eight league games and were shipping goals for fun. It took a late run into the European positions – including seven wins out of eight games in March/April – for them to come good. This season, they look much more solid and are already well placed for an assault on the top four. The carrot at present is that their cross-city rivals, Sevilla, remain above them in the table, but that’s all the motivation that Setien needs to keep his team performing at the consistently high level we’ve seen thus far. In Gio Lo Celso, Loren Moron and Junior Firpo, Betis possess some exciting talent that can score goals. They may have conceded 19, mostly from the early part of the season, but that’s the same amount as Barcelona. At a current price of 12/1 with Bet Victor, they are well worth a punt to break into the top four and bring Champions League football to the green and white half of Seville. Any Others in the Mix? Although both Getafe and Alaves, priced at 33/1 with most La Liga betting sites, would see a decent return on any stake, neither have the strength in depth to maintain a consistent challenge. The latter have performed miracles to get themselves into the top four at this point of the campaign, but to expect them to continue to pick up points at the same rate over the second half of the season is stretching things a little. Valencia’s odds of 8/1 are misleading. Marcelino’s outfit are having an awful time of it this season. With some key players out for the foreseeable future, it wouldn’t be a surprise to see them fall away again. Nine points to make up at this stage is far too much also.